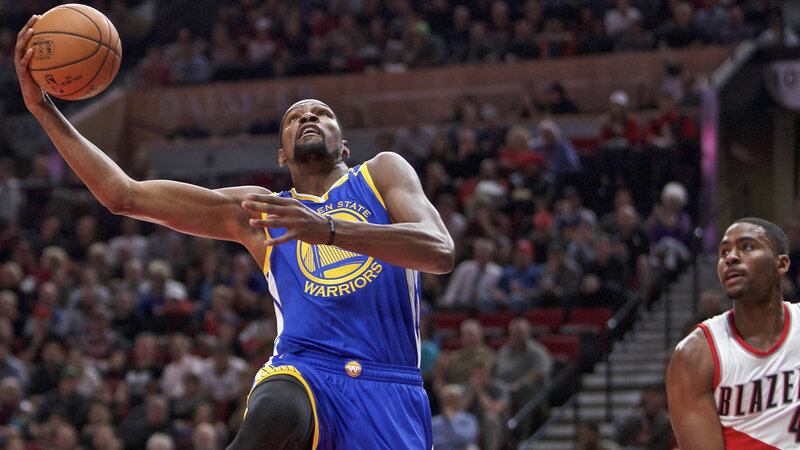 PORTLAND, Ore. -- Stephen Curry scored 28 points, 23 in the third quarter alone, and the Golden State Warriors beat the Portland Trail Blazers 127-104 on Tuesday night to extend their early season winning streak to three games. Ian Clark came off the bench with a career-high 22 points for the Warriors, who have rebounded after a season-opening loss to San Antonio. Kevin Durant added 20 points and Golden State rested its starters down the stretch after leading by as many as 35 points. Damian Lillard had 31 points for the Blazers, who fell in five games to the Warriors in the Western Conference semifinals last season. Playing the first of a back-to-back, Portland coach Terry Stotts also went to his reserves with eight minutes left. The Blazers beat the Warriors 137-105 in Portland last February, with Oakland native Lillard scoring a career-high 51 points against his hometown team. It was one of just nine losses for the Warriors. Lillard averaged 36.5 points against the Warriors last season. Lillard scored with 0.3 seconds left to give the Blazers a 115-113 win at Denver on Saturday. He finished with 37 points. Clark, who averaged fewer than 3.0 points in Golden State's first three games, scored 16 in the first half. Clark's 3-pointer midway through the second quarter extended Golden State's lead to 47-38. Clark hit his first 3-point attempt after going 1 for 7 from the perimeter in the Warriors' first three games. Lillard's 3-pointer pulled the Blazers within 55-51 but Golden State led 59-53 at the break. Lillard finished the first half with 22 points in just under 18 minutes. CJ McCollum made consecutive 3s to pull Portland within 76-69. McCollum finished with 16 points. Curry, who had just five points in the first half, made a layup and a free throw to put the Warriors up 94-71 late in the third quarter as the game slipped out of reach for Portland. Golden State was coming off a 106-100 victory over Phoenix on Sunday.